Dreaming will paint a future for you, discipline will get you there. That’s why most of us have great ideas that we never execute, because we are never disciplined enough to do so. I wrote an article about why we have so many idea-preneurs, and lack of discipline is one of the reasons why this is so. Dreaming about your future is great, it gives you a starting point, but it will never get you there. I had to put my life in order. For a long time, I knew what I wanted to do. Share knowledge, help people grow, create a whole training structure with great informative choices. I had it all at the back of my head, but never really got to do it. Aside from self doubt, discipline is what I lack. At some point I found myself in a position where I didn’t have a choice but to get my life in order. 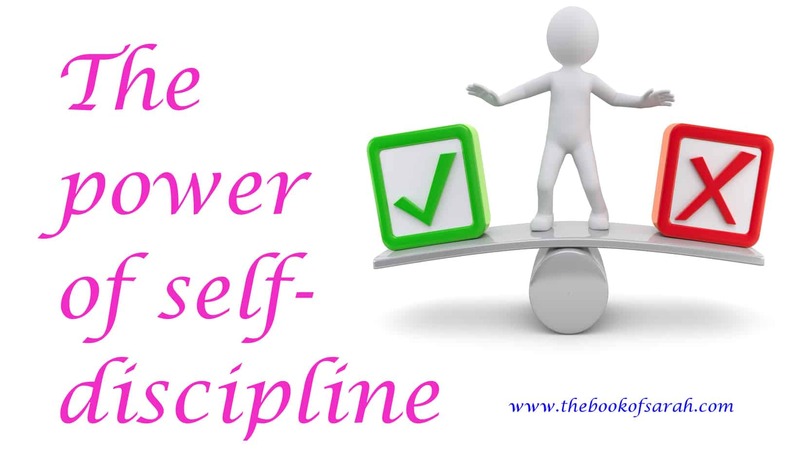 After some soul searching, I realized I lacked discipline. I make schedules, rules, plans (I really do not like protocol) but if it is what I had to do to get things done, I vowed to do it. One question that challenged me was, when you are employed, don’t you wake up at 5, commute, sit at the office at allocated hours, whether you like it or not? Then why would you not do the same to work for yourself? I therefore scheduled everything I wanted to do and with a lot of struggle I finally made a routine out of it. In his book, The Power of Habit, Charles Duhigg stresses on the importance of making good habits in your daily life. It is through creating good habits that you move away from your old ones. Once you schedule activities, and develop a discipline for working on them, it becomes a habit. This takes time, and effort, but later, it becomes part of your life. You do not need to be an extra ordinary person to get things done, you just need discipline to get you there. As important as planning is, sometimes we spend so much time planning that we don’t get action. Or by the time we get to action, we are already tired and our willpower is gone. Seth Goden in his book Brainwashed, calls getting it done, ‘shipping’. Seth talks about how we make a lot of great products and services, but we don’t ship because of fear of failure, fear of ridicule and fear of not being good enough. The key to getting it done is quieting this self doubting voice and going out there and getting it done. Huh, we all suffer from this, don’t we? I know I do and it is something I have struggled with for a long time. Procrastination is knowing you are supposed to do xyz today, but instead push it to tomorrow because by the look of your schedule, you can squeeze in time to do it. Since today you are not inspired enough, you push it to tomorrow. John Maxwell’s Today Matters: 12 daily practices to guarantee tomorrow’s success; is one of my favourite books when it comes to getting things done. What you do today ripples out to the future, and when you push what’s for today to tomorrow you make tomorrow harder than it should be. First, if you work only when you are inspired, you will never get much done. Sometimes inspiration can evade us for a long time, especially if you are a creative. To deal with procrastination, create a schedule and stick to it. Its alright to dream and dream big, but discipline is what will get you there.